Mr. Massie is a senior leader in the energy & petrochemical sector where 30+ years of success and experience have improved the predictability and performance of projects and operations. Mr. Massie has been responsible for the economics, authorization, process design, engineering, procurement and construction of world scale hydrocarbon processing plants as a project and operations manager with The Dow Chemical Company. He has managed grassroots projects, as well as revamps and conceptual studies. He has led teams to develop and scale-up processes from research data, and has conducted and participated in many Process Design Package reviews. Mr. Massie has international experience in technology acquisition and process design contracts as well as project development. He has led and participated in HAZOP’s, LOPA’s, safety and loss prevention audits, prestart-up safety audits and environmental audits. His most recent work has been in risk management of mega-projects in the Energy Industry. Project risk assessment and management for both strategic and tactical issues has been a key focus of his consulting work. 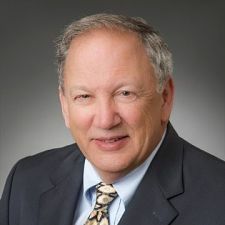 With his background he has led project framing and scope development sessions, value engineering and constructability workshops, and loss prevention reviews. His experience as both an Owner and an EPC Contractor gives him a thorough understanding of the operations and project perspectives in both arenas.